Mengistu Haile Mariam was an Ethiopian politician and a former military officer who gained power through a intricate, ingenious and extremely violent campaign against his opponents. He became the most prominent figure within the Derg and went on to become the Head of State (Feburary 4, 1977-1987) and the first President of Ethiopia (September 11, 1987 to May 21, 1991). With the assistance of the United States, Mengistu fled into exile for Harare, Zimbabwe, after advancing rebels were closing in on Addis Ababa in May of 1991. 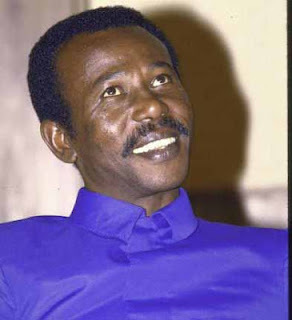 Mengistu was born in Jimma, Ethiopia on May 21, 1937 to a Konso mother and an Amhara father. 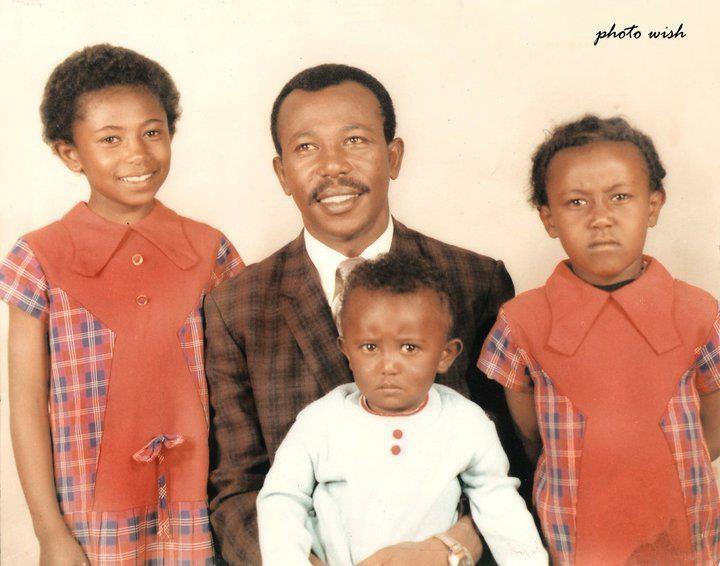 His father, Haile Mariam, was a sergeant under Haile Selassies's administration, while his mother was said to have died when he was 8 years of age. Growing up as a child, Mengistu was described as a trouble maker and a street-smart savoy kid who can instantly size up his opponent. He often faced discrimination and ridicule for his darker complexion, something that would later shape his polices against discrimination. After attending school for a few years, Mengistu followed in his father's military path by joining the Holeta Military Academy. In 1960, Mengistu was assigned to the tough Third Division stationed in the Ogaden for disciplinary reasons. In 1963, Mengistu went to the United States to receive further military training. Ironically, it was his time in the US that he began to adopt Marxism–Leninism and became anti-American after sympathizing with the African-American struggle for equal rights. After widespread mutiny had become rampant in the armed forces of Ethiopia in 1974, a committee of military officers called the Derg were called upon to maintain order in June of that year. In order to broaden its membership, the Derg started including representatives from the 40 units of the Ethiopian Defense Forces, where each unit was expected to send three representatives. Mengistu, who was promoted to a major the previous year, was selected by the Third Division to represent them. Political instability coupled with mutiny in the army, led to the Derg to consolidate power in a drawn-out coup d'etat of Haile Selassie on September 12, 1974. With the official ouster of the monarchy, the Derg renamed itself as the Provisional Military Administrative Council (PMAC) and elected Mengistu as the first vice-chairman. After a serious of assassinations against political rivals, Mengistu became the chairman (head of state) of the PMAC on February 3, 1977. He would go on to hold this position until September 11, 1987, when he abolished the PMAC and became the first president of the Democratic Republic of Ethiopia. Despite Mengistu's firm control on power, he faced a number of internal and external challenges including 3 coup attempts in 1976, 1977 and 1989 and a war with Somalia in 1977 over the Ogaden. With the stunning victory of the battle of Afabet by the Eritrean Peoples Liberation Front (EPLF) and the Soviet collapse, which ended billions of dollars in aid to Ethiopia annually, it became apparent even to his closest confidants that Mengiustu's days in power were numbered. After a serious of military setbacks and outright lopsided defeats at the hands of Eritrean guerrilla fighters, Mengiustu was forced to flee Ethiopia as EPLF and TPLF rebels swiftly advanced on Addis Ababa On May 21, 1991. Mengiustu's legacy will be remembered for his disastrous land policies that created the conditions of the Ethiopian famine of 1984-5, in which a million Ethiopians died from starvation. His viscous Red Terror campaign from 1977-8 against the leftist Ethiopian People's Revolutionary Party and other political rivals have placed him on par with Idi Amin in ruthlessness. In total, An estimated 500,000 Ethiopian citizens were killed during his reign and tens of thousands more were placed in prisons. Despite his ruthlessness, many Ethiopians still see him as staunch nationalist who put his country's interest above everything else. Mengiustu married Wubanchi Bishaw in 1968 and live in exile in Harare, Zimbabwe. During his rule, Wubanchi played a miner role politically, even though she was often seen accompanying her husband on many official state visits. Together, they have three children: Tigist (42), Andenet (40), and Tilahun (36).